This collector's item is a scale miniature NOT intended for use by children under 10 years of age. 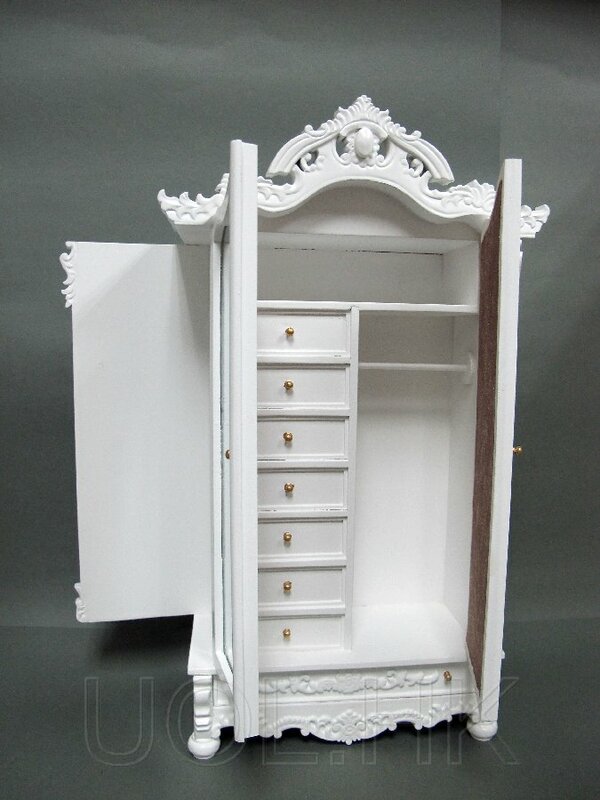 This fabulous carving armoire made of wood , finished in White. It has mirrored micro glass on the front. 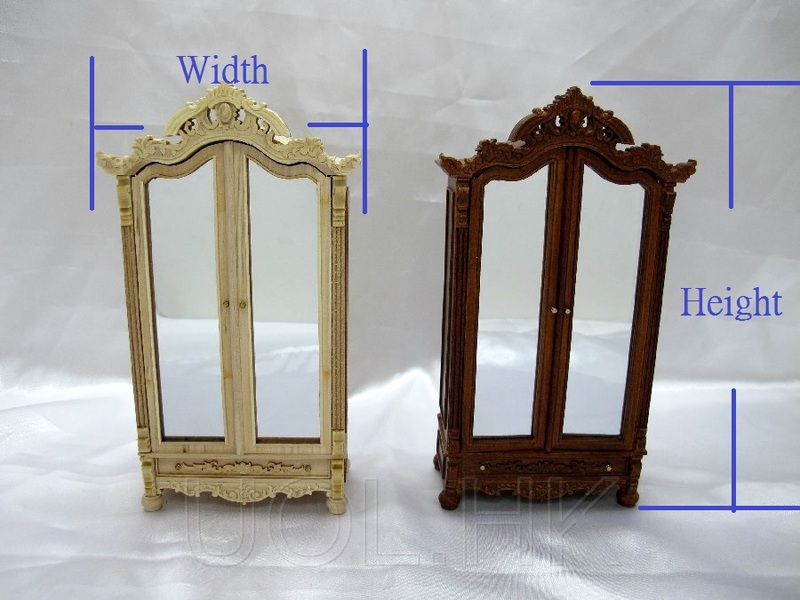 The doors open to reveal a rod across the top and little drawers down the side.fake drawers covered a secret place in the armoire. A secret door on the armoire left side.